Your child will be making shapes in no time! Your child can choose between 10 different shapes. 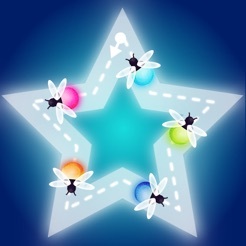 Once they choose the shape, they will trace the shape to fill a jar with fireflies. They trace the chosen shape twice and then it moves on to the next shape. It's great for kiddos that are just learning their shapes, as well as those that know most of them. I love that it tells you the name of the shape before you trace it. we started off with the square. We traced it twice and then moved to the circle. after tracing it twice we moved tot he triangle. Then we made a robot using the square, circle, and triangle. I love that it made it fun while giving my daughter a little extra practice. Once we completed the robot twice we were presented with the rectangle, rhombus, and hexagon. We traced each twice and then made a robot using the rhombus and hexagon. we then traced the Oval, star, crescent, and heart. 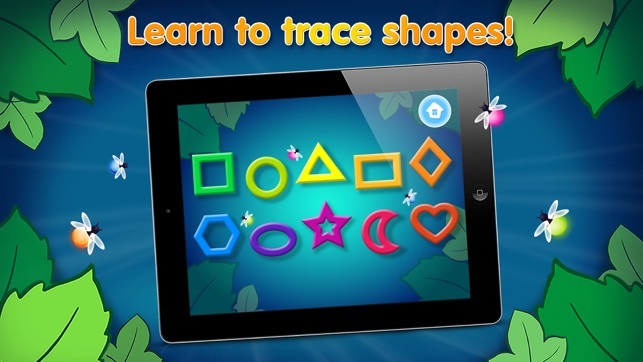 I love that the app offers a wide variety of shapes and really helps in getting those early learners prepared for school. It also helps younger school children remember the shapes and practice on the ones they struggle with. I love that it's great for all ages! 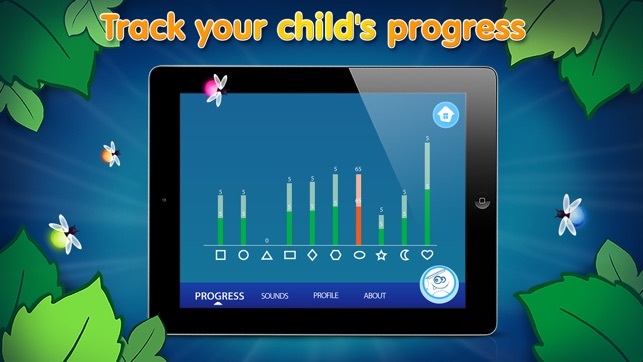 Parents can go into parent mode to track your child’s progress and follow along with them. You can add profiles, change the voice from female to male and turn the sounds on and off. I love how well designed it is and all the options it gives us as parents. You did it again Kids Acadamy! My 3 year old had so much fun with this free app. 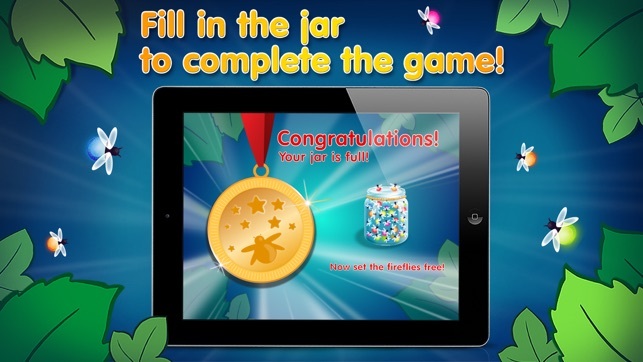 Kids Academy really does offer the best, free, educational apps for children. 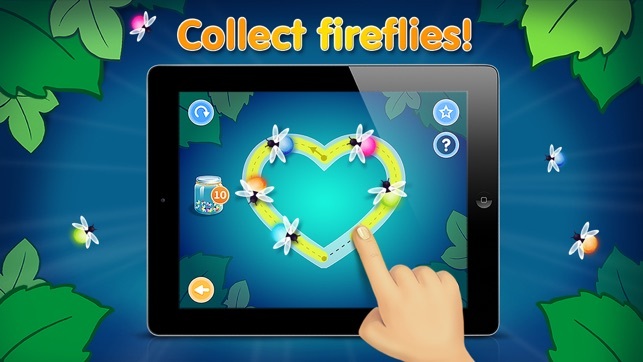 Their apps never fail in being engaging and having colorful quality graphics. My 3 year old had a lot of fun with the number tracing app and this one is just as fun - only now he can learn his shapes. I like that this app has voice instructions so my 3 year old can practive without me and then I can login to parent mode so I know which shapes he struggles with the most so we can work on them together. These apps are really great for young children - their minds are like sponges and it's the perfect time to introduce math, colors, and shapes. These apps have helped my 3 year old tremendously. He is now very enthusiastic about colors, numbers, and shapes!